In photography, I have a fascination with capturing interesting architectural elements. I like to create unusual perspectives to highlight form and lines of different structures. In going through my Grand Canyon portfolio, I pulled some of the shots I took of different buildings that interested me that weekend. I saw a pattern of a specific element that kept drawing my eye to each of these buildings without even realizing it at the time. 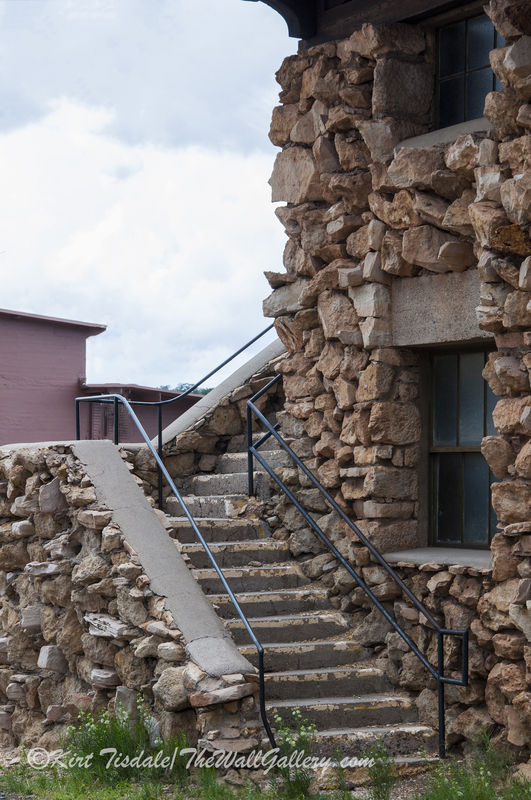 Each of the buildings I photographed, were made with natural rock exterior walls. The rock in each case is obviously indigenous to the area and used to create some very interesting looks. I have attached 9 pictures that I thought were great examples of what I saw. 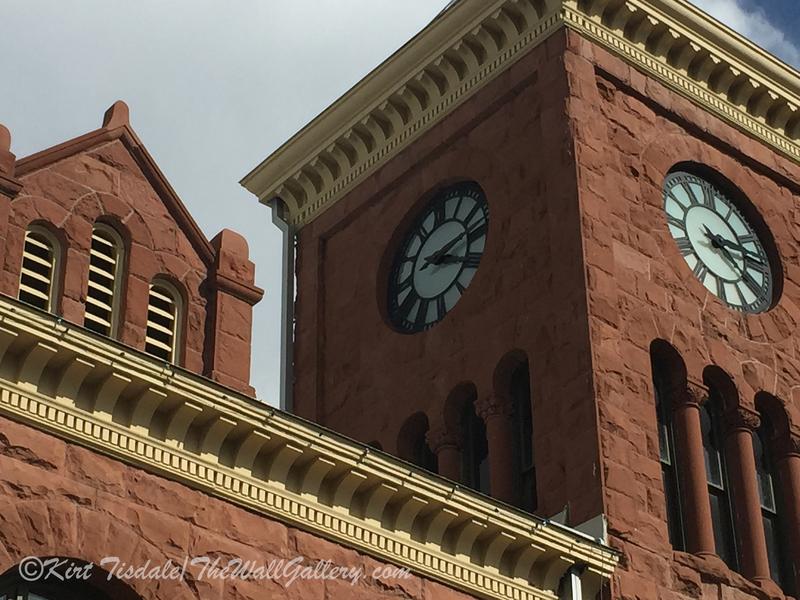 The first capture shows the front tower of the municipal courthouse in Flagstaff, Arizona. The overall building sits back from a downtown street corner, creating an almost park like setting. This angle gives you a perspective of the scope of the structure. 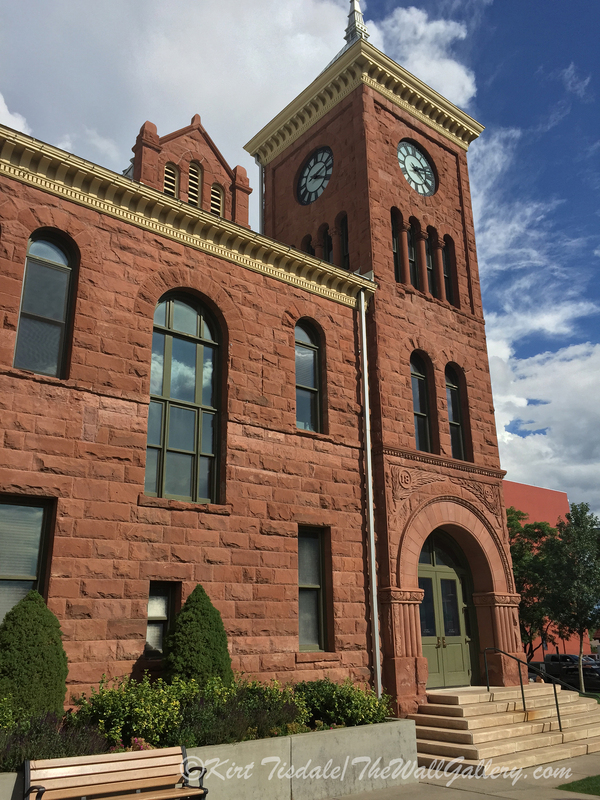 This type of façade is not uncommon for the period in which it was built and with the refined finished rock, it creates a very imposing and strong look for this courthouse. The second shot is the artist in me, framing the architectural lines and elements in a unique fashion that highlights the beauty of the stone. The presentation depicts the detail used in this regal structure. The third picture takes us up to a building close to where we parked in the Grand Canyon Village. I truly couldn’t figure out what it was being used for as it was off the beaten path in an area that housed support and maintenance buildings. I was blown away by the sheer scope of the irregular rock used to create the outer wall of this structure. This shot of the corner also shows the massive timber beams used to create the roof. 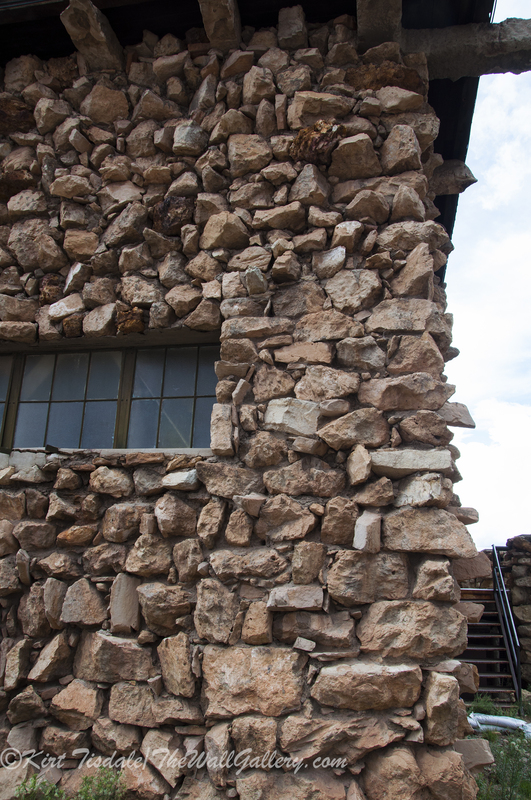 This fourth shot, shows the size of some of the windows outlined with that natural rough rock wall. The fifth shot of the same building shows an exterior stairwell wrapping around the corner. Again, the unique aspect of the rock exterior wall creates interesting pictures. 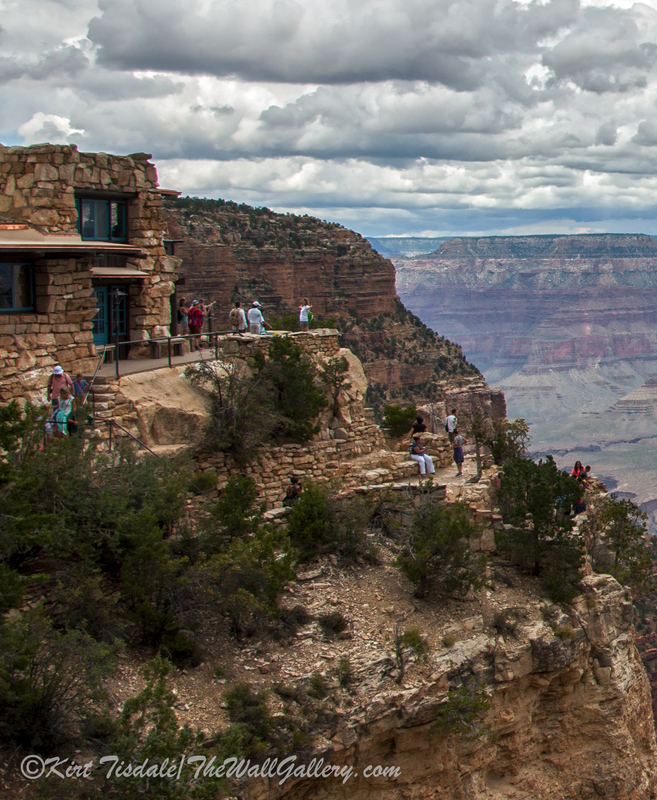 Capture number six takes us back to the rim of the Grand Canyon. I zoomed in on a shot similar to one I used last week to highlight the Lookout Studio and show the exterior rock wall of this structure. It blends into the cliff in a very natural way. Number seven is of the Hopi House located at the other end of the village from the Lookout Studio. 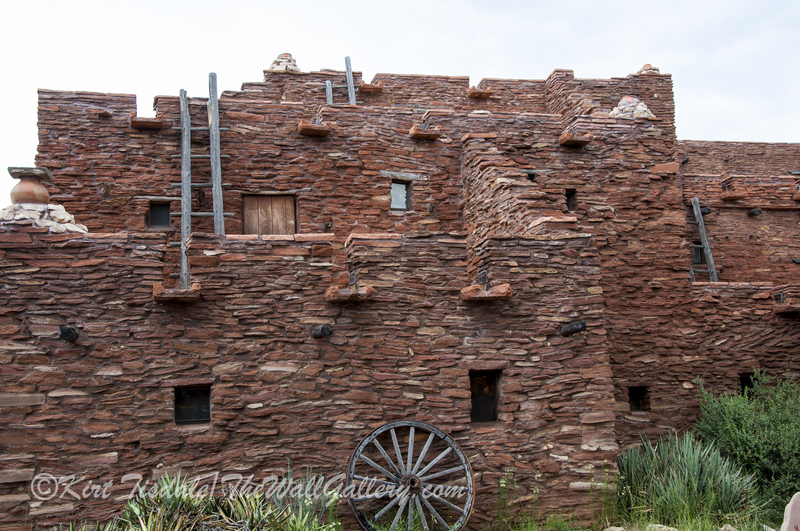 This structure was built using a Pueblo style of architecture. 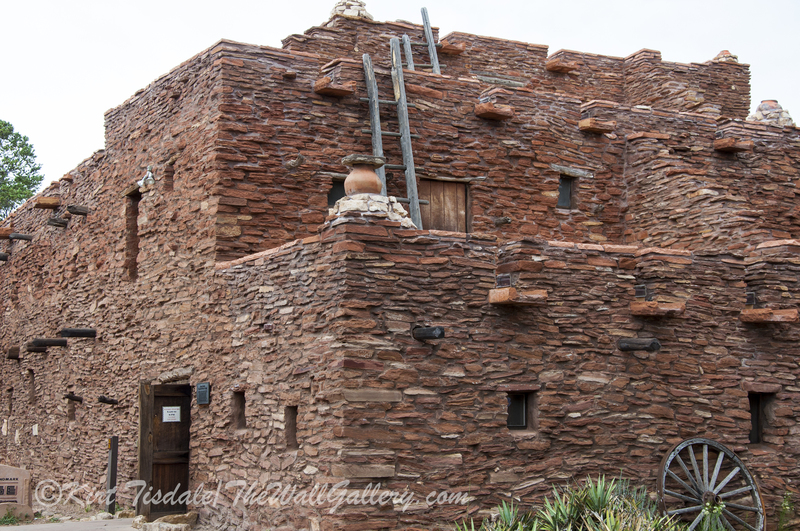 The rock in this structure is totally different from the other ones and creates a look that compliments the Pueblo style. I love the detail work with each individual stone. Number eight focuses on the different levels of the building and the unique design of outdoor space on each level. 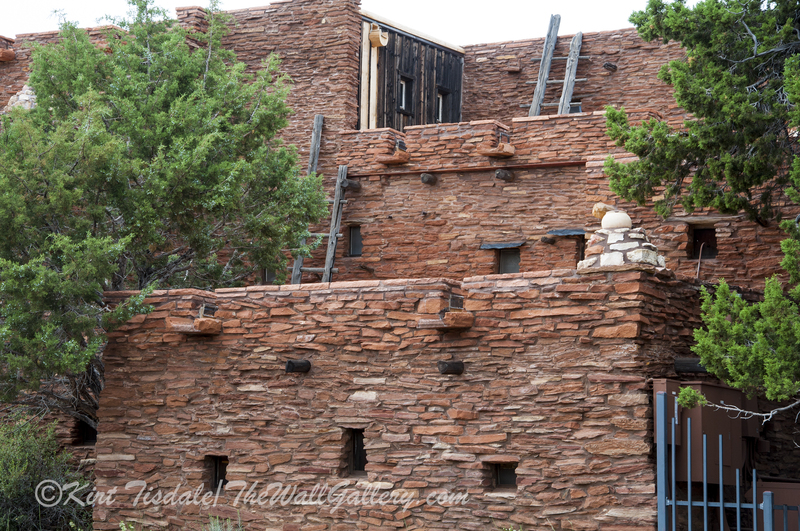 Finishing with number nine, another angle of the Hopi House, showing the ladders connecting the different levels of this Pueblo style structure. I am so use to seeing this type of structure done with an adobe finish and found this natural stone look very appealing. 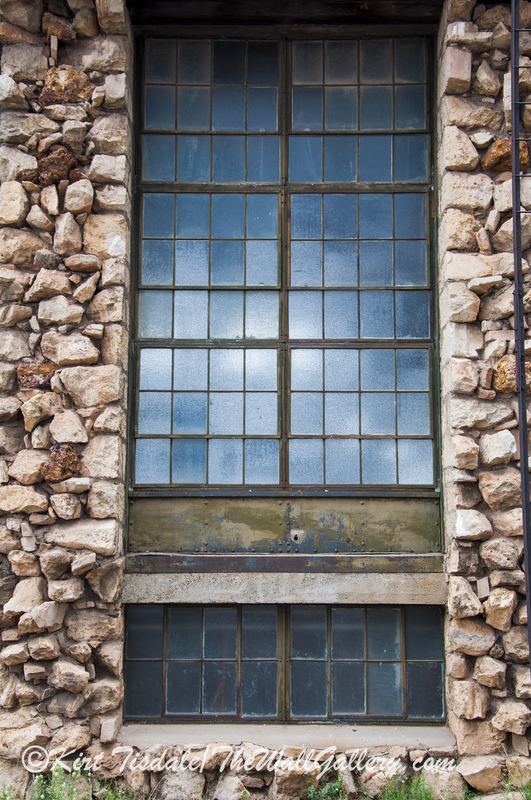 Just some captures of natural stone structures from our weekend outing…thoughts? 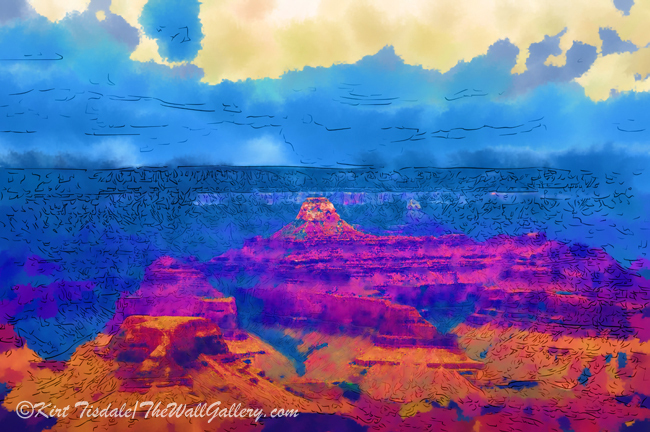 This entry was posted in Art Prints, Color Photography and tagged architectural elements, arizona, buildings, grand canyon, interior design, kirt tisdale, natural stone buildings, online art gallery, photographer, photography on August 27, 2015 by Kirt D Tisdale. 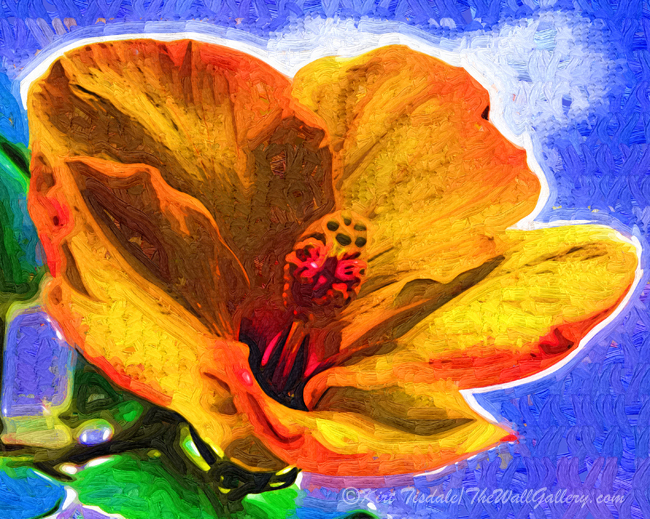 I wanted to share a couple of prints that I just added to my Hot Air Balloon Gallery. Both are from a series of photos I did last winter at a Hot Air Balloon Festival here in the Phoenix area. Using a couple of those shots as the inspiration, I have created these two prints using a pastel colored chalk technique. 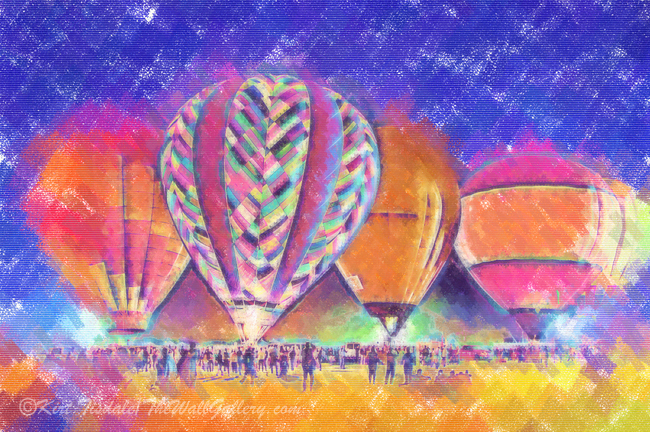 When I think of hot air balloons, I think of bright colors. I think the color and the shapes are what attract us visually to them. In keeping with that aspect, I wanted to use bright pastel colors to represent the scene of this event. As I mentioned in an earlier post where I shared the photographs, the event is the annual Hot Air Balloon Festival in Avondale, Arizona (Phoenix metropolitan area). The balloon envelopes are inflated in the early morning hours for flights and races. After that series of events, the balloons are deflated until the evening hours when the envelopes are again inflated, but this time they stay on the ground. As evening turns into night with the darkening sky, the balloon operators shoot large flames up into the envelope of the balloon illuminating the brightly colored balloons. At this event the operators were synchronized to music, making the series of balloons rotate the glow to the beat of the tunes. This nighttime spectacular is referred to as The Desert Glow. It is a stunning scene to behold with the contrast of light and dark and the bright vivid colors of the balloon envelopes. Thoughts? 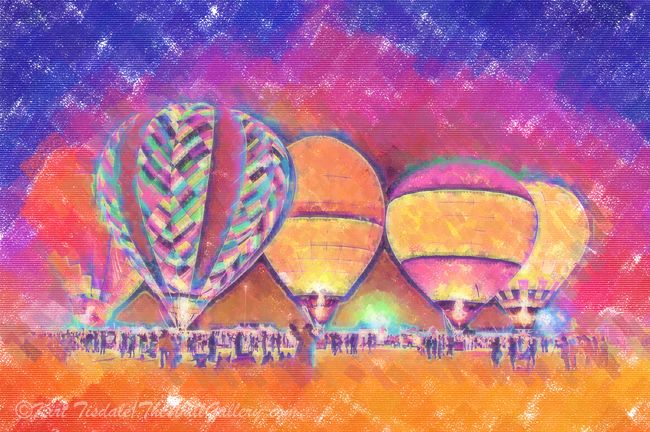 I invite you to visit my Hot Air Balloons Gallery to enjoy these prints and many more. 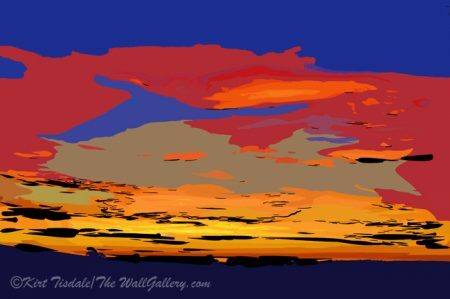 This entry was posted in Art Prints and tagged arizona, art gallery, art prints, artist kirt tisdale, chalk, desert, hot air balloons, interior design, online art gallery, original art on August 22, 2015 by Kirt D Tisdale. 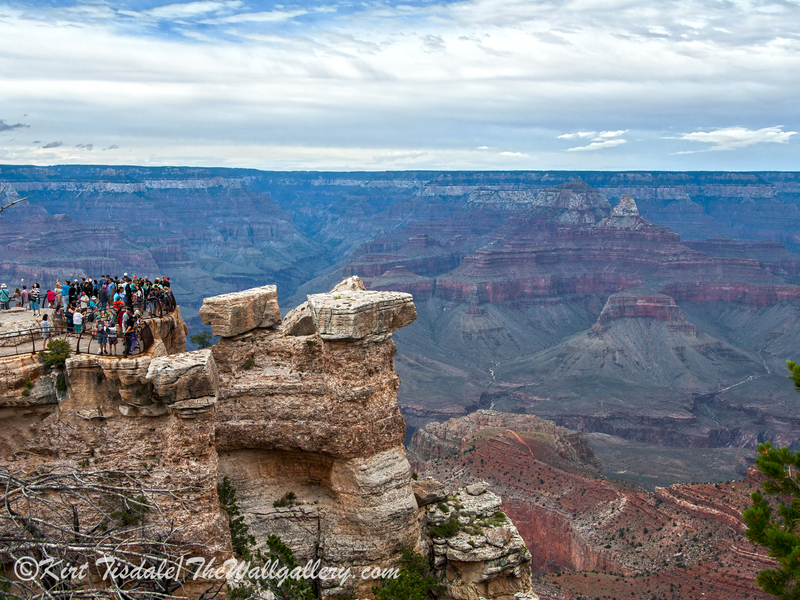 A couple of weeks ago, we took a long weekend and spent it in Flagstaff, Arizona (just a few hours up the road from us) and Grand Canyon National Park (the Grand Canyon). 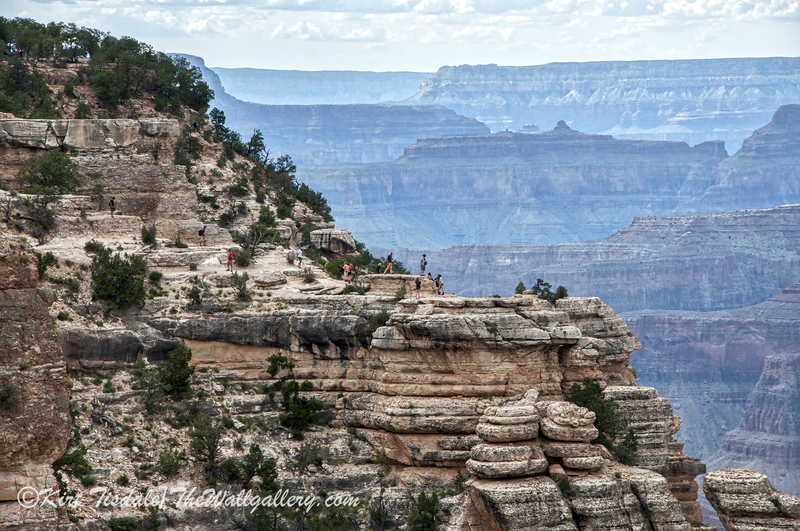 Today’s photos come from the series I took at the Grand Canyon. The Grand Canyon is one of the most photographed natural wonders of the world, so what could I possibly do differently to create some interesting captures. What I decided to attempt, was to stick with the natural elements of this natural wonder and present them in a slightly different perspective (not that this hasn’t been done, but my approach hasn’t been presented as frequently). For anyone that hasn’t visited the park, the view is breathtaking and over-whelming at the same time. The colors and shapes are incredible, but the size, depth and scope of what you are looking at boggles the mind. I decided to break it down into captures that focused on highlighting depth. I love creating that sense of depth in a picture, so what more natural thing to do when it’s all but handed to you. Kind of obvious, but the presentation I wanted for each shot was a strong foreground that was decidedly distant from the background. The first shot gives you the idea of what I am talking about. The foreground is on the left side of the frame. 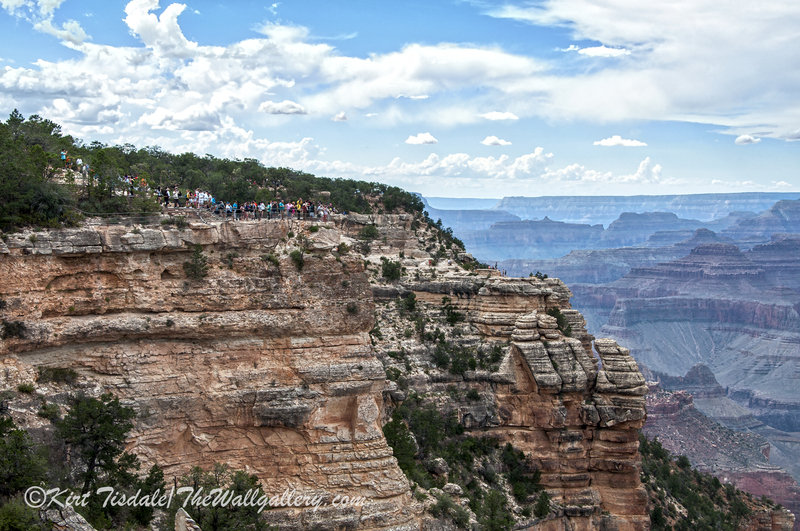 I love the building nestled at the top of the lookout point and the people viewing the canyon. Even the clouds have shape, texture and depth. This second capture, zooms in on the same spot for a slightly different perspective. The foreground becomes the prominent feature with the people walking around the lookout point, yet we still have an obvious background that is large and distant in scale. 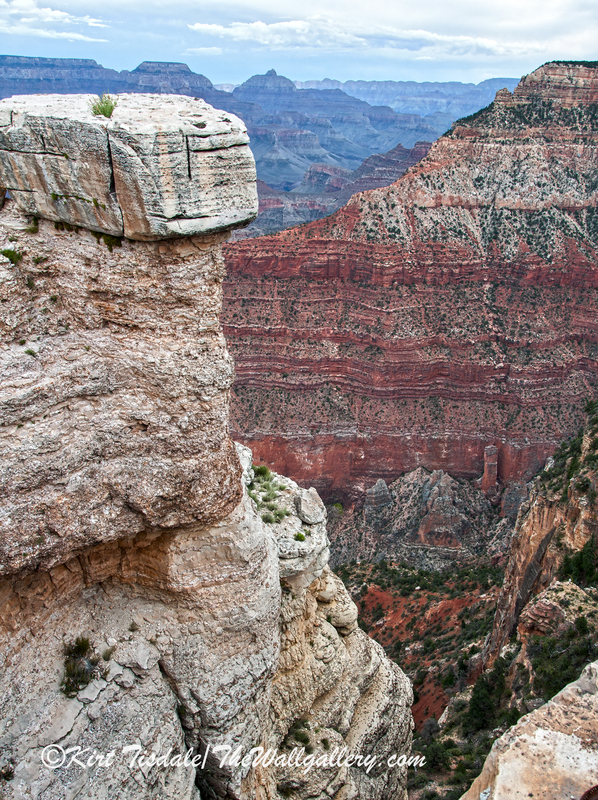 The third photo takes another lookout point that juts out from the rim. 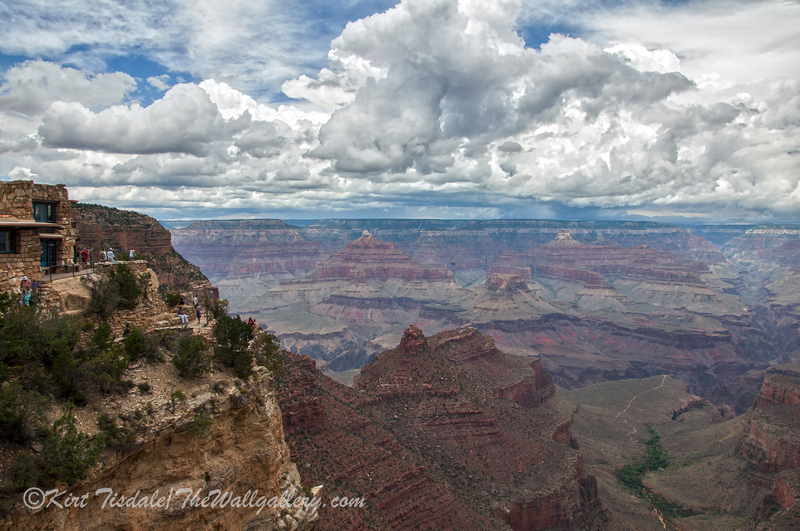 In this one, I have a hint of trees from where I am standing as the immediate foreground (I am shooting across a very deep ravine), yet the lookout point stays as the main foreground, with the canyon as the background creating the sense of immense depth to this shot. The fourth shot is of two lookout points. 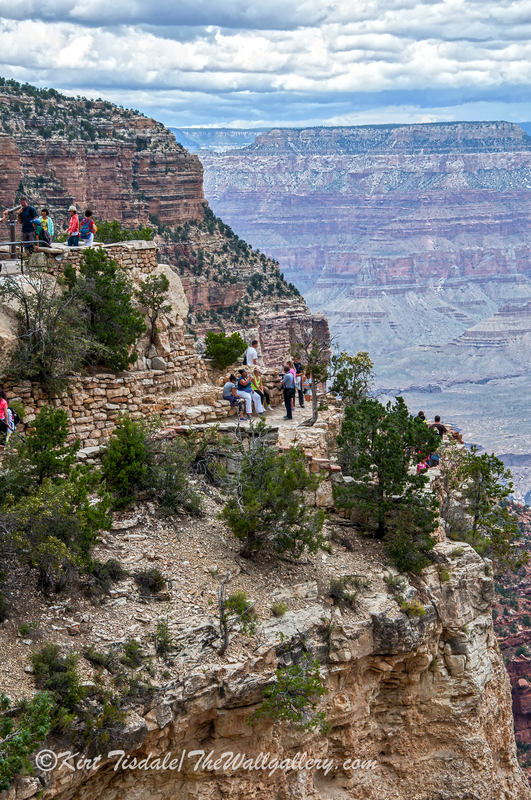 The one in the foreground has the most people walking around, but then you realize the rock strata to the right of that is actually another lookout point further back, which the fifth shot zooms in on. 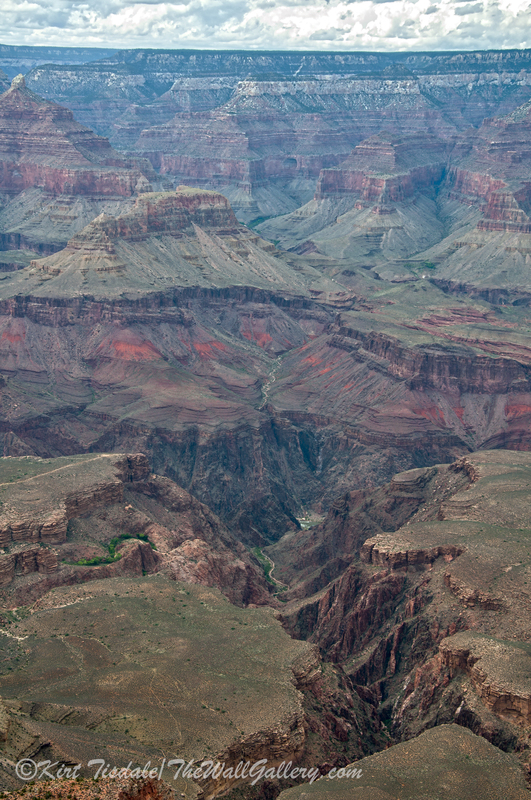 In this capture, you see the people on the point and this angle is looking down the canyon, not across it as is evident by the coloring (air is hazier and bluer because of the distance). Lookout points are an easy way to capture the obvious levels of depth, but for my last two, I used a slightly different approach. In the 6th capture, I have two light color rock structures in the foreground and a red colored rock strata in what could be called the background, but behind that is the canyon creating another focal point of depth (three distinct elements of depth). The last photo looks down into the canyon. I framed just one area of erosion that is laced with a trail taking you all the way down to the Colorado River, which can just barely be seen below and right of center. This angle pulls your eye down through the various layers and levels towards the river. In your opinion, was I able to create a series of pictures that portrayed visual depth, giving you a feel for the shear size of the subject matter in an interesting way? What are your thoughts? 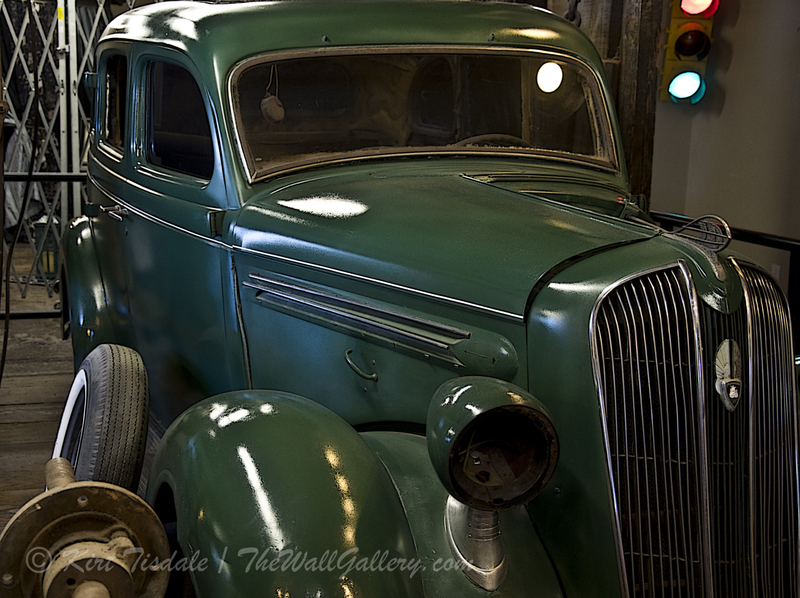 This entry was posted in Color Photography, Photography and tagged arizona, art gallery, desert, grand canyon, kirt tisdale, landscape, online art gallery, photographer, photography on August 17, 2015 by Kirt D Tisdale. For anyone that has been following my blog or work, this will come as no big surprise. I have a penchant for black and white photography and find that it can create a different visual experience than color photography, even side by side with the same subject matter. I also want to add to that list, black and white sketches. 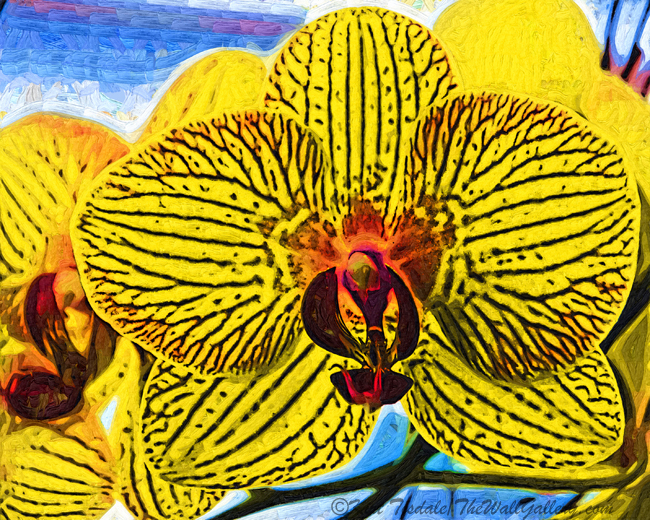 This week, I am featuring two new prints recently completed and added to my B&W Sketches Gallery. They are of the West Point Lighthouse and the Mukilteo Lighthouse, both located in the Pacific Northwest just outside of Seattle. The sketching aspect creates a soft and warm tone as opposed to photography which plays off of shapes and contrast to create a mood. The first print is the West Point Lighthouse. West Point Lighthouse sits on a piece of land that juts out into the Puget Sound and marks the northern end of Elliot Bay which lines the downtown waterfront of Seattle. 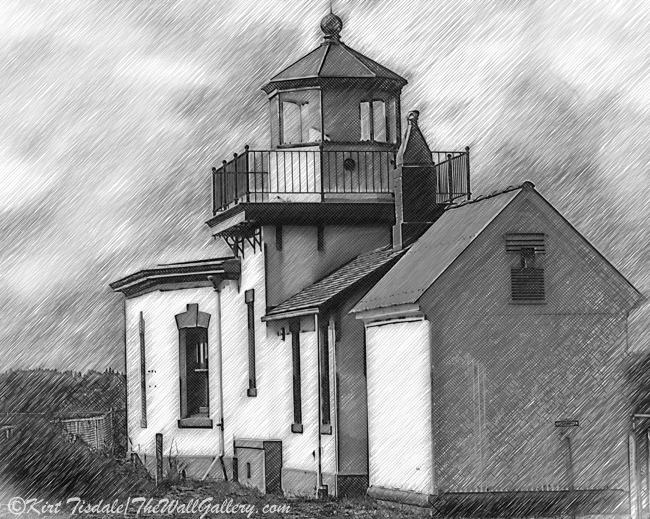 The second art print is of the Mukilteo Lighthouse. Mukilteo Lighthouse is located in the town of Mukilteo on the mainland across from Whidbey Island north of the Seattle area. This sketching technique creates a soft, warm traditional look to buildings that have unique architectural elements. This type of print creates a timeless element and in this case honors the history of these types of landmarks. Thoughts? I invite you to visit my B&W Sketches Gallery to enjoy these prints and many more. 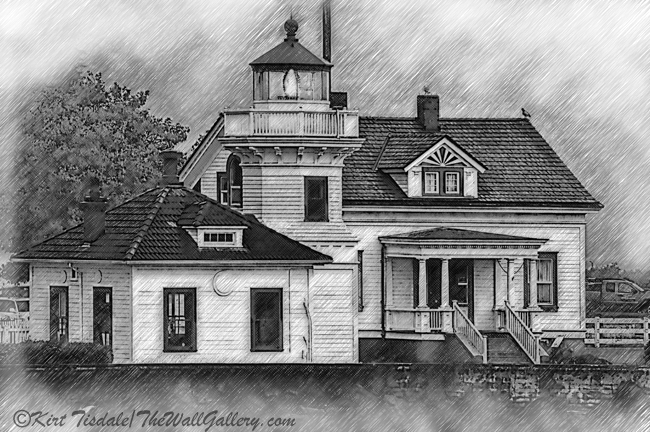 This entry was posted in Art Prints and tagged art gallery, artist kirt tisdale, Black-and-white, independent artist, interior design, lighthouses, mukilteo lighthouse, online art gallery, sketching, West Point Lighthouse on August 7, 2015 by Kirt D Tisdale.